Liz has extensive and current clinical experience in acute care nursing and has a passion for emergency, critical care and clinical education, having completed post graduate studies in these fields. Her passion for emergency and trauma has resulted in the completion of her Graduate Diploma in Acute Care Nursing (trauma/ critical care) and Graduate Certificate of Acute Care Nursing. 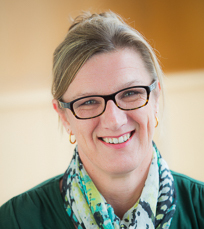 Liz has over 20 years nursing experience in varying health settings and roles, most recently as an emergency nurse in Armidale Rural Referral Hospital. Liz has been teaching at a tertiary level for the past four years and has currently taken on the role of first year Bachelor of Nursing coordinator. She is developing as an early career researcher, and has completed her Masters of nursing, majoring in clinical education, this year. Liz is very excited about being part of the passionate group of nursing educators at University of New England, and is committed to providing quality education and learning experiences for students both on line and on campus.